Another of from the first (and so far only) test roll through a Yashica T4. I was interested in the use of pebbles to hold the reinforcing mesh at the desired elevation. 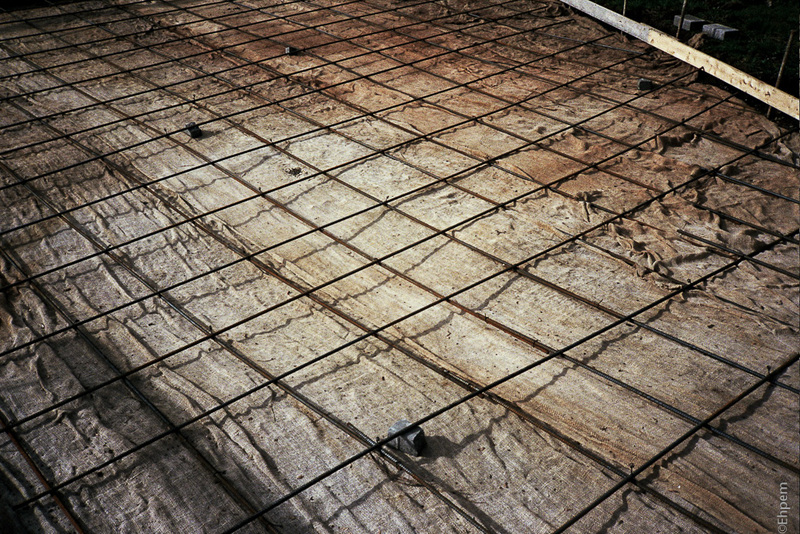 And the contrast between the steel grid and the obviously soft wrinkled and heavily weathered geotextile. It looks as if this location at the University of Victoria had been waiting for concrete for some time. Yashica T4, Fuji Superia X-TRA 400. Low-res commercial scan.